FedEx Route for sale $240,000! Includes 4 vehicles. Currently grossing $305,000 per year and nets over $100,000. Territory is purchased through independent distributor and contracted through FedEx. Territory for this route includes the DFW area. Truck is picked up and dropped off daily at the terminal located in the DFW area. How do I get paid? As an independent distributor you are paid per stop, per package, and through bonuses. Is there room for growth? Route values can be increased by new commercial account openings, and additional growth in the area. FedEx uses sales reps to expand and develop the routes. Can I finance the route? No, there is no seller financing for this route, and unfortunately banks will NOT lend against route based businesses for several reasons. You can review additional Financing Options Here. What are my expenses and overhead? Expenses include, but are not limited to: fuel, vehicle, repairs, insurance for your vehicles, and liability insurance for your business. The current owner estimates a total of $115,000 in expenses and overhead. Does the company provide a gas surcharge? Yes, a nationwide average is taken on the price of Diesel and 50% of the fuel you purchase through FedEx's terminal is reimbursed. How does the selling price of the route get determined? All FedEx routes determine the selling price of their route by using the yearly gross income, plus assets. This route is under priced! What are the company requirements? FedEx requires a background check, you must have no bankruptcies, or felonies and have a decent driving record. Additionally 6 months of driving experience of a box truck if operating as an owner/operator. Owners do not need to meet this requirement if they don't intend to drive. Do I have to sign a contract? Yes, as an independent distributor you sign a service agreement to represent FedEx. The contract is to protect both the company and its distributis the distributor selling? Owner has other business interest. How long has the business been established? The current owner has owned the business for 6 years. How many stops does the route driver do a day? Routes average 150 stops per day, per route. How many days a week, and what hours do distributors work? Owner works 5 days a week Monday through Friday with weekends off. On average from 7am - 6pm. How many employees are there? 3 employees. What about vacation time or personal days? As an independent distributor/business owner you are responsible for the route being serviced. Terminal offers a program for vacation time (1 week off per year). 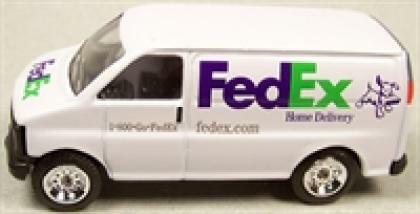 Additionally there are currently independent drivers who have FedEx experience that can cover for more time needed off. What else should I know? HUGE FedEx route in a major metropolitan area! This business is large and profitable enough to hire an additional driver to help assist with the work load. Please complete the contact seller form below for more information.